As per Aadhaar Act, e-Aadhaar is equally valid like a physical copy of Aadhaar card for all purposes. Subscribers can also validate digital signatures in e-Aadhaar. 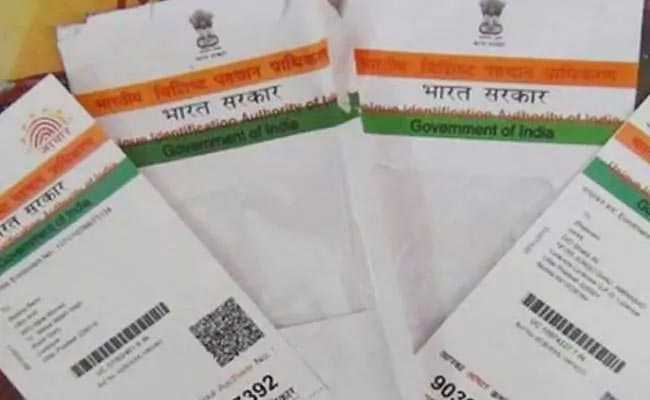 E-Aadhaar card is a password protected electronic copy of the Aadhaar card, the 12-digit unique identity number which is digitally signed by the competent authority of Unique Identification Authority of India (UIDAI), as mentioned on UIDAI's official website - uidai.gov.in. As per Aadhaar Act, e-Aadhaar is equally valid like a physical copy of Aadhaar card for all purposes, added UIDAI on its website. Residents can easily download the e-Aadhaar card number by visiting UIDAI websites - uidai.gov.in or eaadhaar.uidai.gov.in. Subscribers can also validate digital signatures in e-Aadhaar, said UIDAI on its website. d) Now, click on 'Get OTP' link. The OTP (one time password) is received on your registered mobile number. Residents can also use TOTP (temporary one time password) to download e-Aadhaar instead of OTP. TOTP can be generated using mAadhaar mobile application. e) After entering the OTP, you will be re-directed to your e-aadhaar. You can now download your e-Aadhaar. d) Now, click on 'Get OTP' link. The OTP is received on your registered mobile number. e) Enter the OTP and you will be re-directed to your e-aadhaar. You can now download your e-Aadhaar.